Khushi and Mallika were enjoying the aftermath of the engagement party. The engagement had gone off without a hitch. Punditji had done his job with the prayers and among other things, rings were exchanged between NK and Mallika. Their parents had embraced each other and gifts had been exchanged between both the parties. Khushi, dressed in a red sari with golden border and decked with gold earrings dangling from her ears and a necklace sitting pretty on her neck was a sight for sore eyes. Her red bangles made a jingling sound as if spreading cheerfulness where ever they jangled with her anklets adding sweet music to it. The sari gave her face a pink glow and minimal make up of a red gloss and kohl around her eyes made her look beautiful, totally rubbishing the idea that she could look plain. She had at Mallika’s request left her glasses behind and worn lenses. While quivering inside with anxiety, she was outwardly calm and smiling. She had not seen Arnav anywhere around yet. Maybe he had left? Just when she started relaxing, she caught sight of him. He was dressed as usual, in his impeccable suit, his eyes focused on the person he was talking to. He looked handsome as ever. Her skipped a beat as she looked at him. He didn’t look out of place and seemed quite comfortable with people around him. Just then he smiled at the lady he was talking to and Khushi felt her heart flutter. She turned away from him, clutching her sari to her chest. “Khushi” It was softly spoken but raised the hair on her arms. The voice was so close to her ears. She didn’t dare turn around. She quickly strode away before he could say anything else. Arnav started moving forward. He hated it when Khushi walked away from him. In all these months, this was another constant that hadn’t changed. He moved towards her and she’d run away. He swore he’d soon put an end to it. He moved away and turned to the bar. Ordering himself a stiff drink, he wondered where Khushi had disappeared off to. He couldn’t see her in the room. Gulping down his drink in one go, he thanked the bartender and went out of the party room that opened out to the lobby of the house. He walked further out and saw Khushi. She was sitting with Mallika and other girls, who were giggling while Mallika blushed. Girl jokes, he was sure were being cracked. Khushi though had a strained smile on her face as she participated in this girl talk. She was sitting with her head down, playing with the end of her sari and biting her lip softly. His Khushi and her traits were well known to him. He was sure she was trying to think of a way to get out of there. Payal sat along with them, laughing with the other girls and talking animatedly. Her laughter died abruptly as she saw Arnav coming towards the group. She looked at Khushi, anxiety for her sister written plain on her face. Arnav looked at Mallika and smiled while the other girls looked at him too. A gasp from some girls broke the silence. Obviously, thought Khushi. Arnav Singh Raizada effect was taking hold of them so they would gasp. She opened her eyes to look straight into his glittering amber ones. She shivered at the amount of want she saw there- and determination. “Hi Mallika. Congratulations once again on your engagement. Lovely party.” Arnav came forward towards them. Khushi looked at the other girls with scorn. She could see awe written their faces, their mouths open and eyes wide. What was it about this guy that turned all girls silly? Khushi looked at her friend; Neha who had invited Arnav in her simpering, husky voice to join them. She ground her teeth in frustration. Oh for heaven’s sake! She’d always hated Neha’s simper and her attempt to seduce boys with her voice. And here she was doing it with Arnav! There was nothing that she could do about it though so she lowered her eyes and looked down as other girls joined in the request. Arnav was actually enjoying this. Khushi looked flustered, blush rising on her cheeks, her annoyance apparent to him. This should be fun. How about rousing that not-so-little green monster in her? He sat down and zeroed in on the girl who had invited him. What was her name- ah yes! Neha. Khushi glanced at Payal questioningly and then away. What did it matter to her where he lived now or if he was thinking about – what did he mean anyway with married not yet? Khushi shook herself mentally. It shouldn’t matter to her. It didn’t matter at all. He could live in Timbuktu and marry the Princess of Norway for all she cared. Khushi closed her eyes and tried to control her temper. She could feel the green monster rising from the depths of her being, his hunger apparent. Khushi felt a knot in her stomach as she realized what she felt. She was horrified at a merest mention of him being interested in someone else could cause such a fierce pang of pain in her heart and bring her to boiling rage. She couldn’t do that to herself, she didn’t want to feel this burning jealousy that slowly seemed to be enveloping her soul. “huh? Yes Jiji?” Khushi opened her eyes and looked at Payal. Arnav watched her go, muttering along the way and smiled to himself. 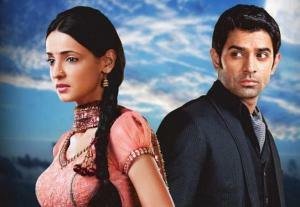 She was nothing if not feisty, yes- that was Khushi Kumari Gupta-soon-to-be-Mrs. Raizada. He just had to wait for his plans to come to fruition and fervently hope that she’d not screw up the plans with her unpredictability. Khushi walked back into the house, with the party full on and people dancing around. While the young generation had taken up the dance floor, the elder generation had moved to the far side of the room, where comfortable sofas and lounges had been kept. Khushi made a face towards the noise emanating from the room and walked towards where her grandmother sat. She must be there somewhere. “Khushi, come join us!” Some of the guys from the dance floor called her. “Change your traditional clothes and join us in fun babe.” One of the guys, Gaurav shouted, giving her leering glances. He was an old friend who loved to fool around and was not to be taken seriously. 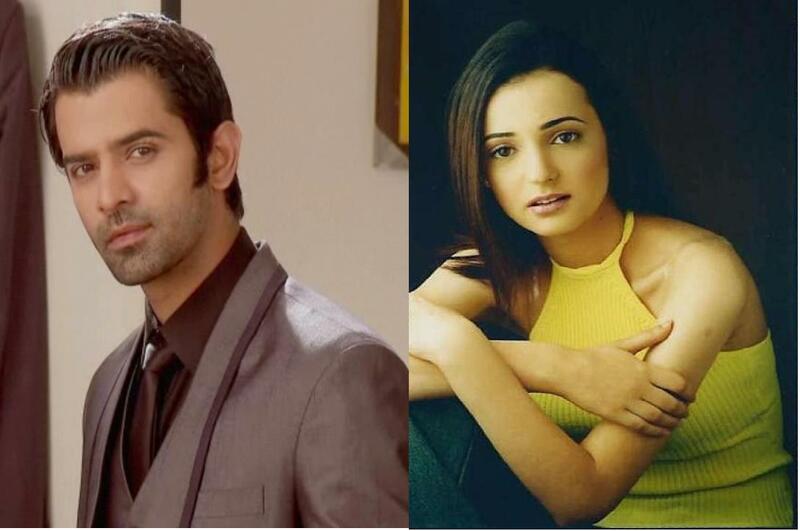 He opened his arms wide and shouted, “Come to me baby!” Khushi laughed and shook her head in denial. She thumbed him down and signalled him a “See you later” to resume walking. She had barely taken two steps when she was held tight by her waist and roughly pushed out of the house again. Only one man had the guts to do that to Khushi Kumari Gupta. Anger that had been churning in her stomach was ready to spill out. She struggled furiously as he dragged her to the far side of the lobby, next to the swimming pool. All was quiet here, with no one around. Arnav swivelled her so that she faced him now, her face red from anger and exertion of the struggle while his wild amber eyes sparked with the same emotion. Khushi looked at him, her shock evident on her face, her struggles ceased for a moment. “You’re a fine one to talk! Who was that who was seducing all the girls with his “Come and stay with me in Delhi” statement?” She mimicked his voice, her eyes flashing fire. “Jealous sweetheart? You’ve no need to be. ” Arnav caught her closer so that their chests were almost brushing against each other. He caught at her shoulders gently as regret flooded his being and he mentally kicked himself. What the hell was he doing! He had to be gentle with her, woo her. In his jealous rage, he’d completely forgotten himself and accused her again when she was innocent. Would he never learn? “It doesn’t matter Arnav. Let me go please.” Khushi’s voice was deathly quiet, tone flat. She moved his hand from her shoulder and made to go. Arnav was having none of it. While she closed her eyes and prayed to her beloved Devi Maiyaa, Arnav looked at her with something like fury that was replaced quickly with guilt and pain. He was genuinely apologizing; yes, he was at fault again. Khushi always made him feel a heel. He had never apologised to anyone except to her and his Di. The least she could do was listening to him once and maybe give him a chance, dammit! He knew he had hurt her bad the last time, when he had called her names and broken the engagement. The day he had uncovered the truth, he had gone through excruciating pain and guilt. He had realized what a fool he had been by letting go of the only woman that could love him as deeply she did, who could accept him despite his background and his faults; the only woman who made him complete. His Anjali Di had wiped the floor with him and later on tried to help him find Khushi. He had tried but in vain. As a last resort, he had decided to immerse himself in work and his sorrows in solitude where nothing but happy memories of Khushi stayed put along with the huge stone of guilt around his neck. Had it not been for Khushi’s grandmother calling, he’d have drowned himself in his misery and died. Hell, he understood her anger and her distrust of him. He was ready to prove himself and earn her trust again if need be. If only she would listen to him! His confidence took a dipping when he thought about it. “All she does is close her eyes, hide her pain, her feelings and say that she didn’t want to talk to me!” He swore quietly, thinking to himself. Khushi was not going to let him get into her affections again so easily, was she? He knew he should let her go but touching her did odd things him; always had. The day they’d almost made love on the club terrace came into his mind and stirred up a fire that refused to go down. He took a deep breath to control his emotions. Why wouldn’t she look at him at least! He was trying to apologize and be a gentleman too. Startled and quaking, Khushi looked up. Maybe he’d let her go now? She thought and then looked at his eyes. His eyes were burning globes of fire.. as if he was the panther about to attack his prey. Khushi eyes were wide orbs, “I make you go crazy! ?” she squeaked and then got her courage back. “How dare you blame me Arnav Singh Raizada, Mr. next-step-to-God! I have done nothing to you, do you hear.. nothing! As if all you accused me of in the past is not enough, you’ve come here to- what you said just now – let me go at once!” Khushi tried to free herself from his hands but they were like iron bands around her shoulders. “But what?” Khushi held her breath as her stomach churned with well-known sensations, sensations she thought she had lost months back. She was panicky and confused. What was he trying to say? His words, softly spoken made Khushi’s stomach drop somewhere in her shoes. What did he just say? Arnav couldn’t possibly want her! No, he couldn’t desire her at all! Not after all that had happened! He had been cruel to her, he had mocked her, made fun of her; he had told her that she was promiscuous, crazy, comical and absolutely not worth his time’ that her body disgusted him. Instant shock held her rigid as both his hands came around to cup her face. She moved her head to one side but he would have none of it. His softly spoken “Khushi” had her turning at him again. She closed her eyes. As his lips touched hers; gently at first and then swooping down again and again, sipping her taste from her lips, Khushi felt herself melting in his arms. No more did she want to wriggle away from him, not this time. As though alarm bells had jingled loudly in her ears, she opened her eyes in shock and pushed him away roughly while he was still unbalanced. How could she have fallen in his spell again! She had to get out of here. He seemed to be dazed and shocked just as she was, although she doubted if he was dealing with the kind of emotional upheaval that she was dealing with. “I- I- good bye!” her voice was a hoarse whisper and she turned and ran away from him. She didn’t dare look back to see the kind of expression his face may hold. Khushi could feel herself trembling an hour later even after she reached the safety of other ladies in the women’s parlour and was sitting beside Mallika. Punditji was looking for the good muhurat for the wedding to take place in the next two weeks since NK had to go back to Sydney. While everyone around her was talking, Khushi was in her own thoughts. Oh my goodness gracious everything under the sun. Her lips still tingled and her body was still on fire. She wept inside with rage, frustration and desire. Humiliation burned deep within her along with those other emotions. How could she have done what she did — responded so ardently! How could she have forgotten what he’d accused her of, what he’d thought of her, what he still could readily accuse her of! Arnav sat with the other men, his mind a million miles away- or maybe simply in the other room where Khushi sat with other women. He had walked back a few minutes after she’d ran, trying to compose himself. His body had been shaking with undisguised, unfulfilled lust as well as disgust for himself. So much for attempting to talk to her, woo her!